Study gastronomy, while learning how you can contribute in building sustainable food systems through culinary arts. And immerse yourself into global food cultures with our international study trips to expand your worldwide network in the food sector. gastronomic cultures of the world. Experience the profound relation between different gastronomic cultures and its territory by integrating theoretical concepts with first hand practical experiences on the field. 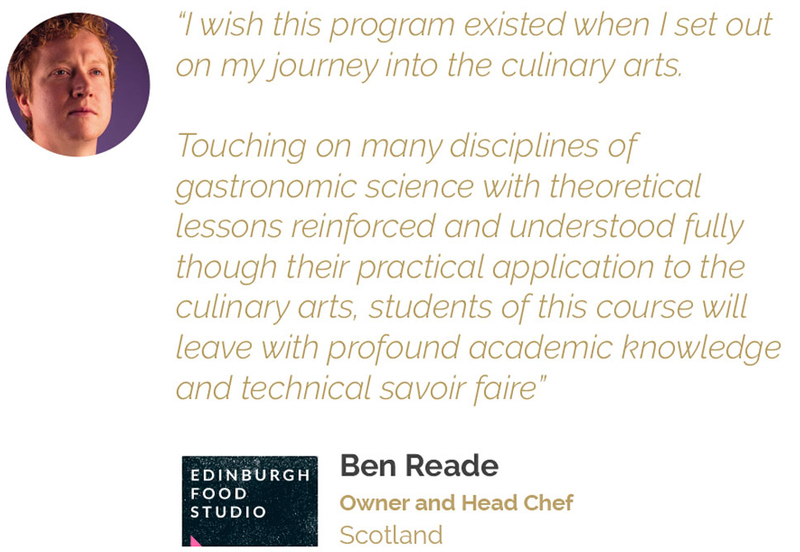 Develop a critical understanding of a food system and its protagonists by dissecting visited territories from small-scale producers up to industrial scale companies, gastronomic communities and contemporary culinary projects. A comprehensive and interdisciplinary academic model. Close monitoring of our students with one-on-one and collective coaching sessions during the course. A solid international network of companies. With our resources and support, we can help you secure an internship in Italy or abroad to expand your career. Learn with academic experts, in conjunction with, practitioners who operate at the highest levels; complemented with a wide range of practical learning, including, study trips, lab work and tastings. To become a gastronome able to improve sustainability, health and sovereignty of food systems, result of a depth understanding of gastronomy linked to culinary arts and science. Be part of a community coming from 90 different countries, and expand your academic journey beyond the realms of education. Our international student group helps foster a gobal community in which students can learn, in depth, about different world cultures and continue to expand their network. Our “Pollenzo Bubble” -as named by our alumni and students- guarantees that your university experience surpasses graduation. We would like to keep you updated on our programs, events and articles that we think might interest you. Please indicate via the two options below whether you do or do not want to receive this information. You will be able to modify your choices at any time. Please note, that if you choose NO we may still communicate with you for non-marketing purposes. Which means that you will still receive automated transactional messages, such as an email confirmation of your application submission.